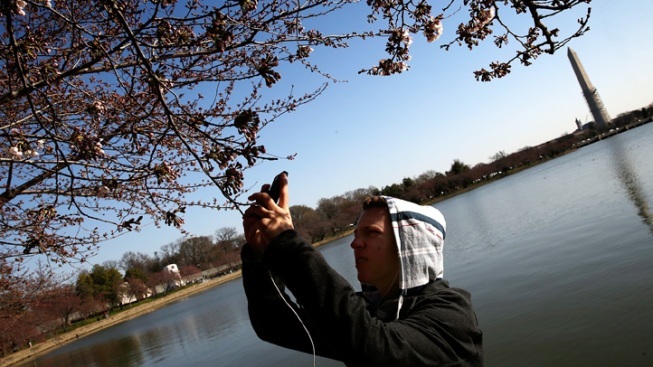 Tourist Warren Cosgrove photographs cherry blossoms on April 3, 2013. 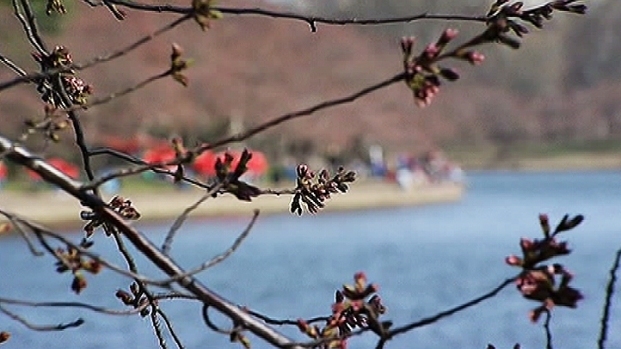 The blossoms are slowly starting to open around the Tidal Basin. Thanks to an unseasonable chill that's long outlasted its welcome, the National Park Service has once again pushed back the expected peak bloom dates for D.C.'s cherry blossoms. This year's original peak bloom dates were set for March 26-30, but a few days in advance of that, the NPS pushed them back to April 3-6. But then April 3 came and went. The new dates are April 6-8, the NPS announced Thursday -- the same day the blossoms entered their "puffy white" phase, the last before peak bloom. 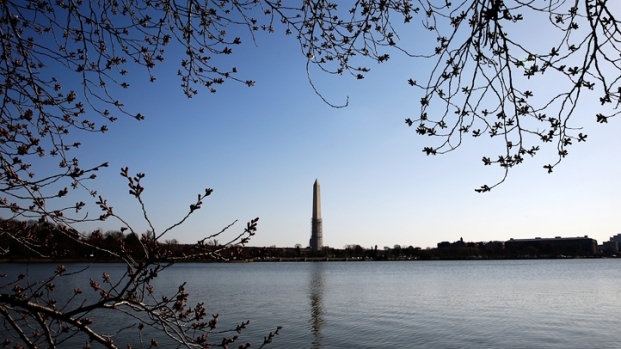 Peak bloom is considered to occur when 70 percent of the cherry trees along the Tidal Basin are in bloom. Fortunately, the blossoms will likely be looking good for Saturday's Southwest Waterfront Fireworks Festival. The season's long-lasting chill is responsible for the delay, but we're actually not all that far off from the norm: The average peak bloom date is April 4. The blossoms missed their peak bloom date Wednesday, but the National Park Service says we should see the flowers pop around the weekend. "The duration of the peak bloom is dependent on weather conditions; high winds, rain, or frost may shorten the period," the NPS says on its website. We want to see your cherry blossom pictures! Tweet them @nbcwashington with the hash tag #nbcblossoms. We may use them online or on-air.